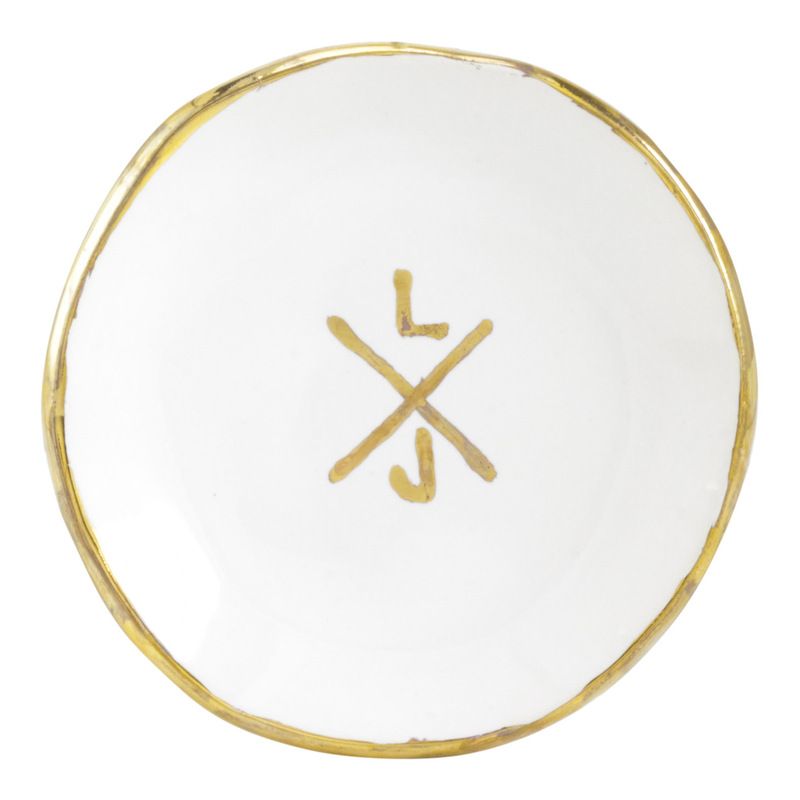 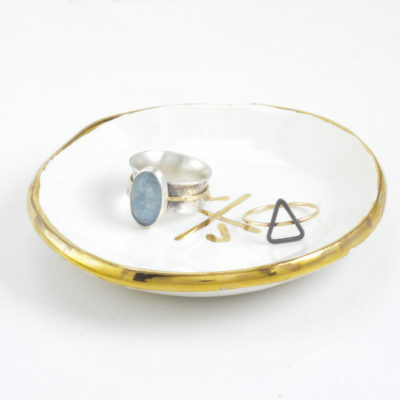 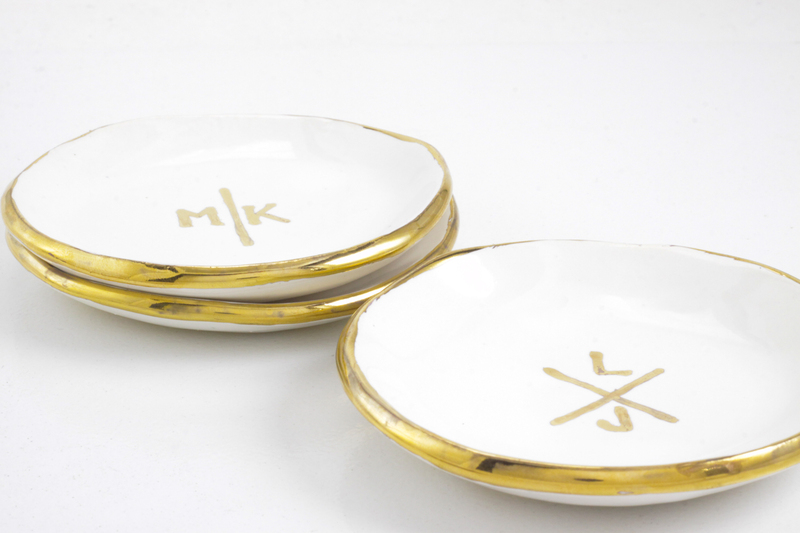 Our monogrammed ring dishes are the perfect gift for a wedding, anniversary or birthday. 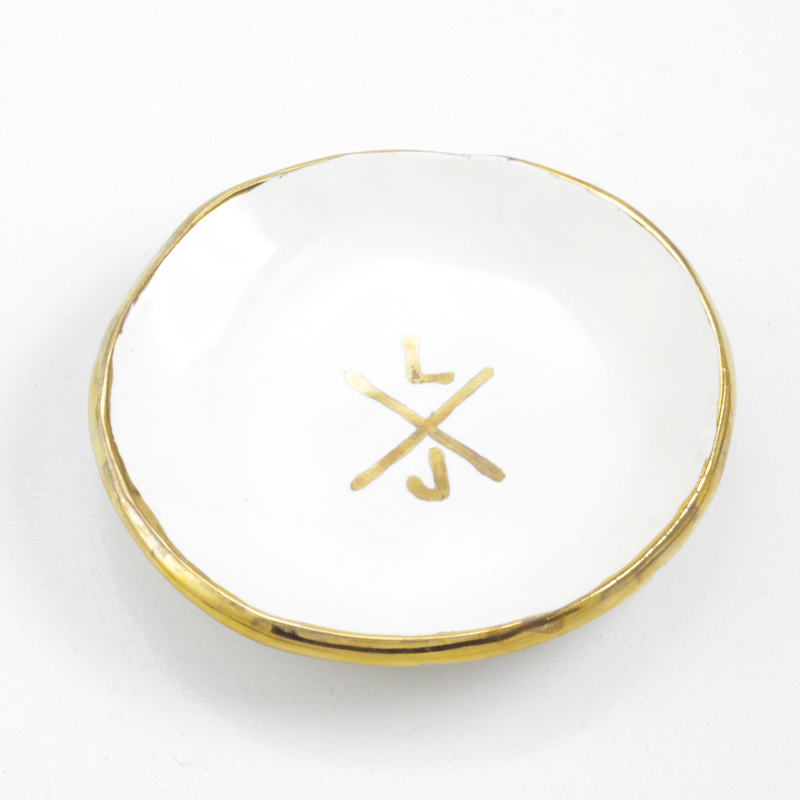 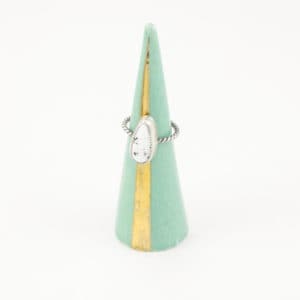 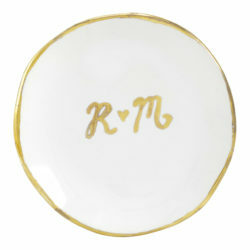 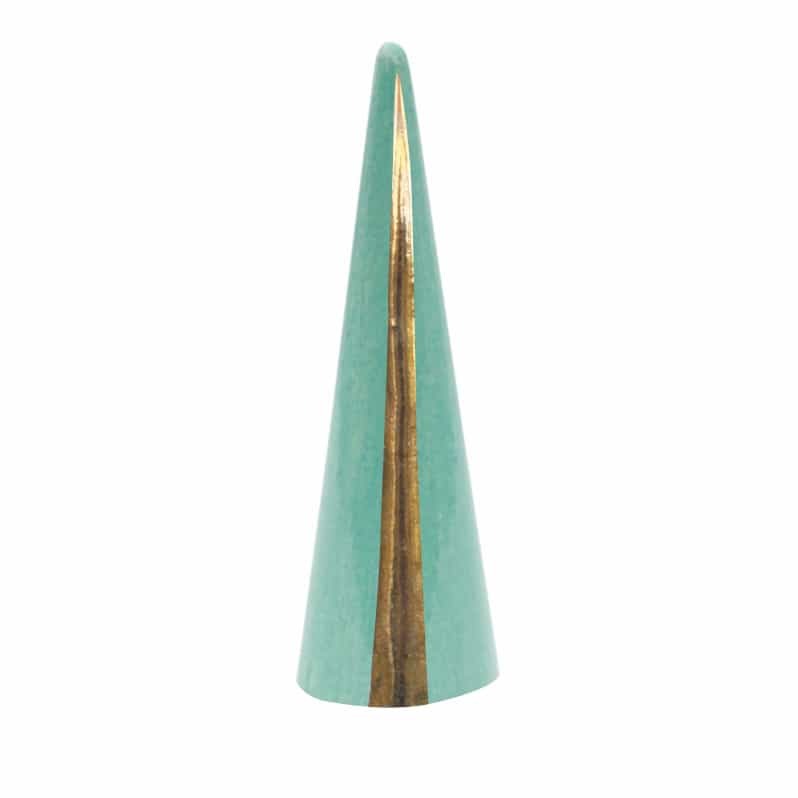 A bright white glaze is handpainted with 22k gold luster with two initials and an X in between. Choose two letters, letter 1 will be the letter above the X and letter two will be below the X. 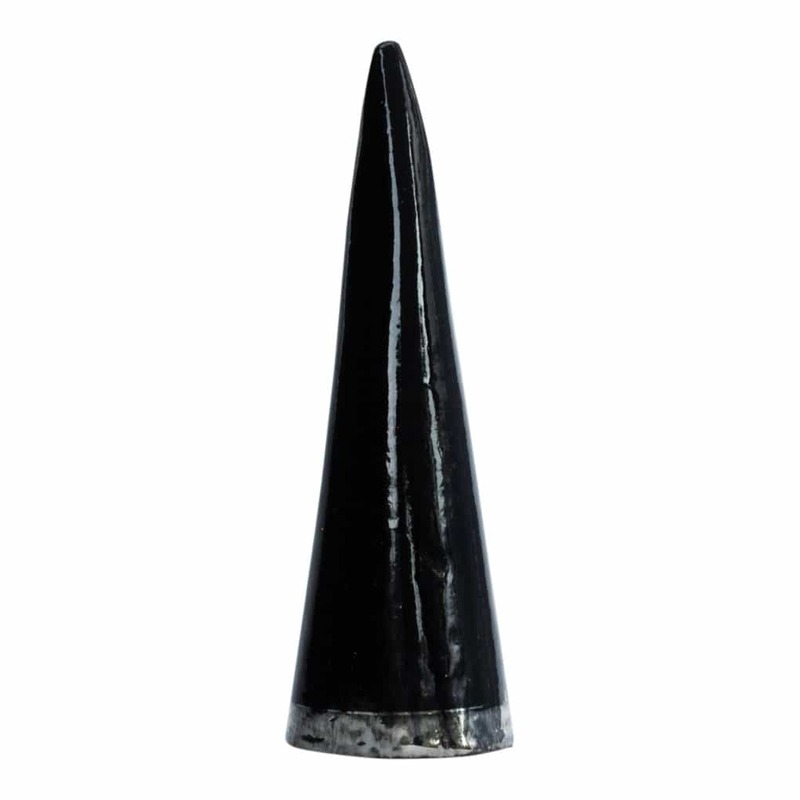 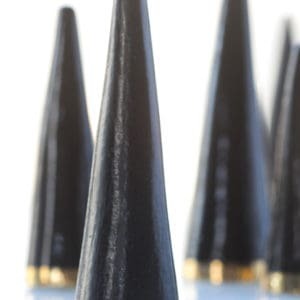 Total diameter is 4″. Please allow 2 weeks for your custom dish to be made. 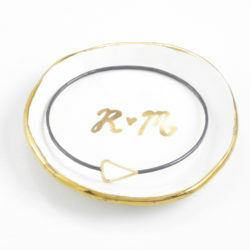 This listing is for ONE ring dish. 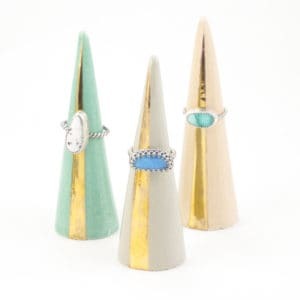 Please specify in the notes what letter you would like for Letter 1 & Letter 2.